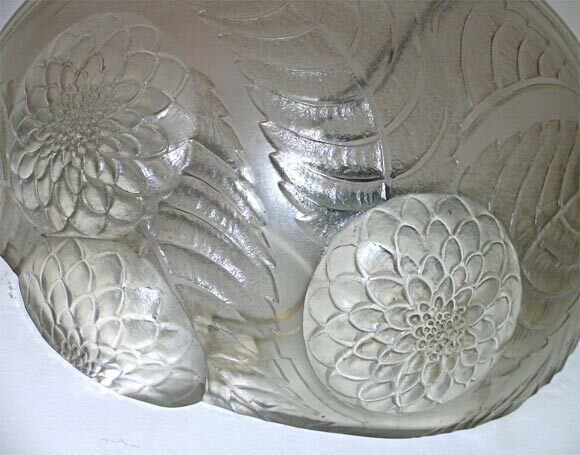 Lalique wall sconces, a model designed by Rene Lalique in 1921, in clear and frosted glass, molded with floral and leaves design, electrified. 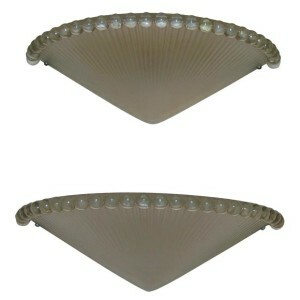 Additional pairs and matching chandelier available. 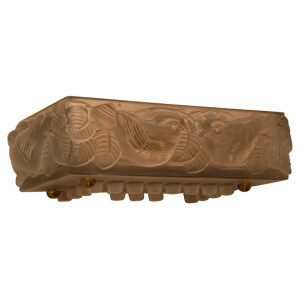 R. LALIQUE single wall sconce, model “Flandre”, design created 1935. 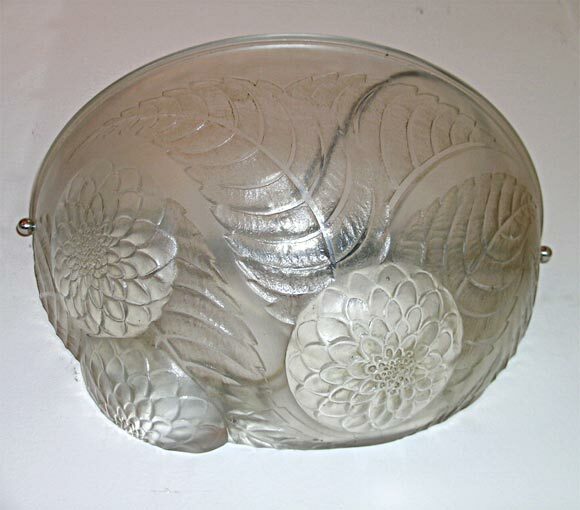 In clear and frosted molded glass. 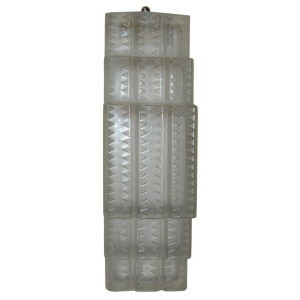 Clear and frosted glass wall sconces by R Lalique, a 1931 design. 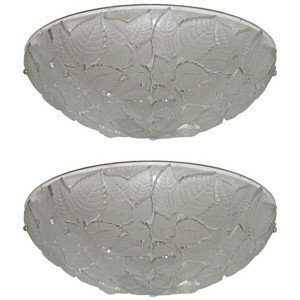 We have 2 pairs available and the same pattern chandeliers. 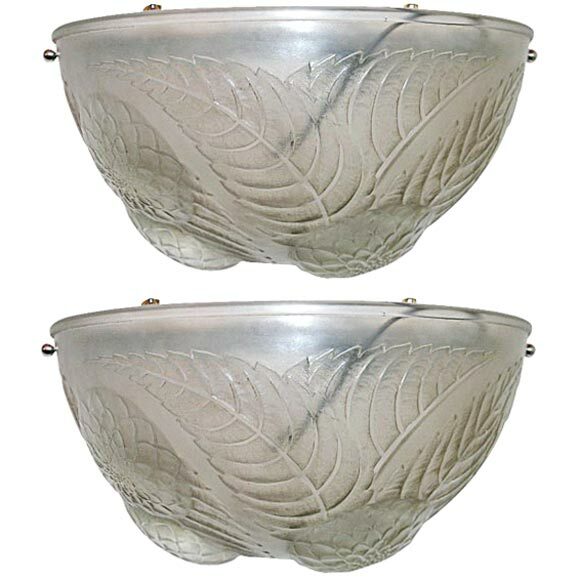 A single, “Moineaux I” wall sconce by Rene Lalique, model created in 1931, in clear and frosted glass molded with a motif of stylized sparrows and leaves. 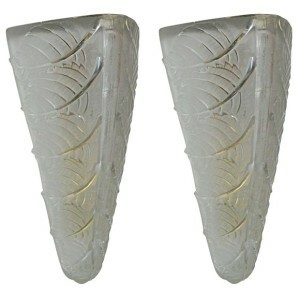 Lalique wall sconces, clear and frosted glass molded with a leaves design, electrified. 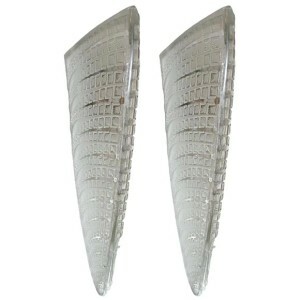 Additional pairs and matching chandelier available. Lalique Wall Sconces, clear and frosted glass molded with leaves design,electrified.Additional pairs and matching chandelier available. 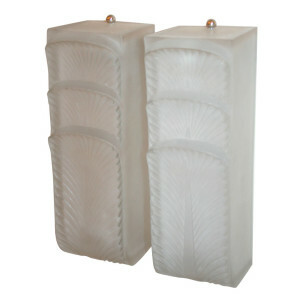 A rare pair of “Languedoc” wall sconces by Rene Lalique, in clear and frosted molded glass, design created 1935. 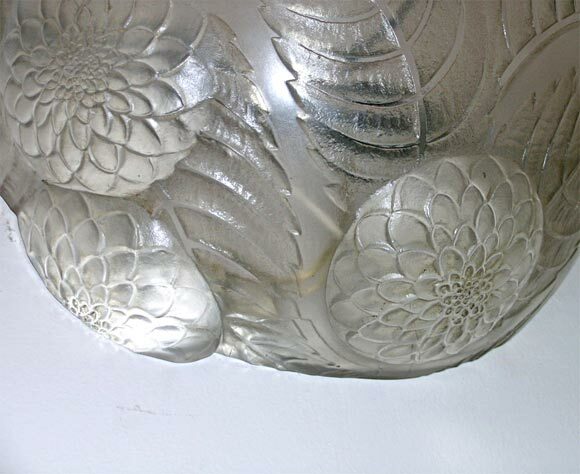 Lalique wall sconces, clear and frosted glass molded with leaves design, electrified. 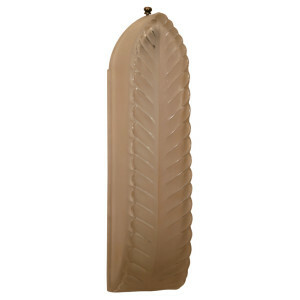 Additional pairs and matching chandeliers available.